Last week I was greeted by some magical elves who came to my house to sing carols all about the new Canon PIXMA app for Facebook. Giving us cookies and good cheer, I also had the chance to learn more about this app and how it can allow parents to help their children create a holiday wish to be sent directly to Santas workshop in the North Pole and printed on a Canon PIXMA printer using cloud technology. 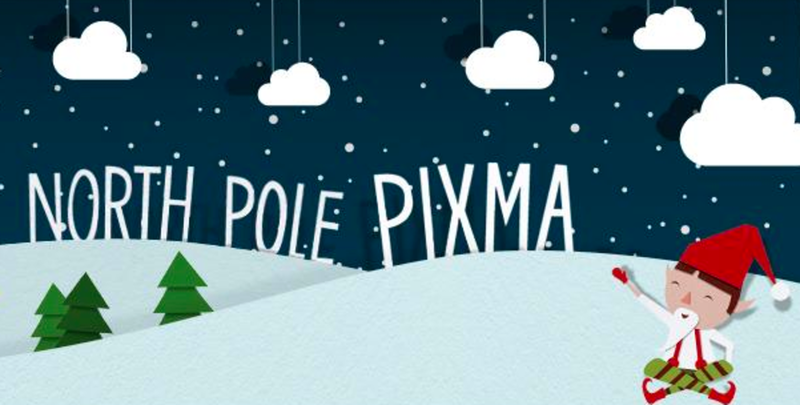 The Canon North Pole PIXMA app will provide a unique and interactive experience allowing parents to help their children to write, draw or use pre-selected images to create their holiday wish. Once the wish has been customized, it is sent through the cloud to Santas workshop, where users will be shown a video of Santa receiving their wish printed on a Canon PIXMA printer. Bringing smiles to children and parents alike, the video features a cast of iconic holiday characters, including North Pole workshop elves, the Abominable Snowman, Mrs. Claus and Santa. Consumers can engage with the Canon North Pole PIXMA app at www.NorthPolePIXMA.com or by visiting the Canon U.S.A. Facebook page at www.facebook.com/CanonUSA.